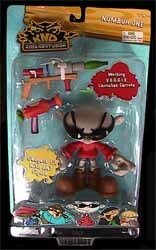 Numbuh One comes with a fully working V.E.G.G.I.E. 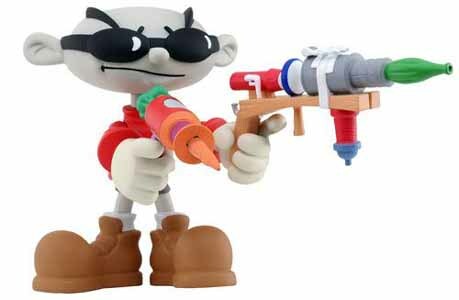 (Vegetable Ejecting Gun Guarantees Infuriated Enemies) gun, which fires a plastic carot. He also has a S.C.A.M.P.P. (Soup Can and Magnified Photon Phlazer).